Just yesterday, I posted a couple of photos of a boxcar that I picked up over the years at the annual Christmas Train Show in Wheaton. It was from Hamm's Beer. 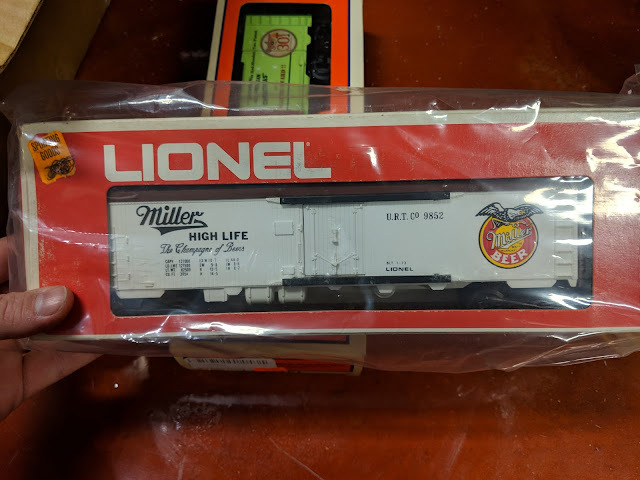 Today is another beer-related boxcar: one from Miller High Life. It features the classic tagline: "The Champagne of Beers" and was made two years earlier than the Hamm's one - in 1973. Similarly to the Hamm's car, this Lionel O Gauge 6-9852 billboard reefer car comes in the 1970's era Lionel Trains box and has the printed label on the side. This Miller High Life one also has an orange price sticker that the price scratched out but says "Sporting Goods". Not sure if that was the name of the store or the section of the store. Either way....kinda strange. 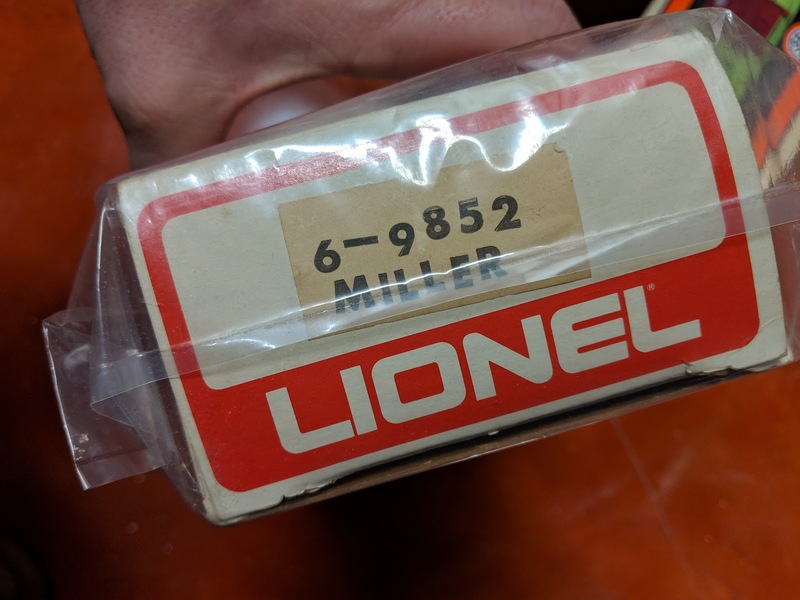 I have a draw to vintage beer-related Lionel stuff. In addition to these two (The Hamm's one and *this* Miller High Life one), I also run a Schlitz boxcar that I'll have to capture in a photo and post. I also have this vintage Schlitz Beer Lionel track-side billboard that I bought at the Christmas train show in 2017.